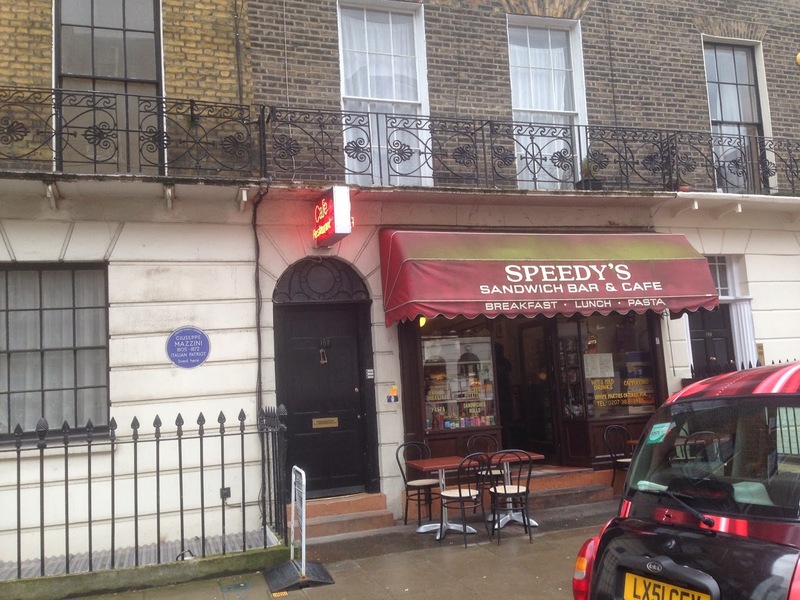 Off the back of the Sherlock museum, we went on the hunt for the location of the BBC series Sherlock. 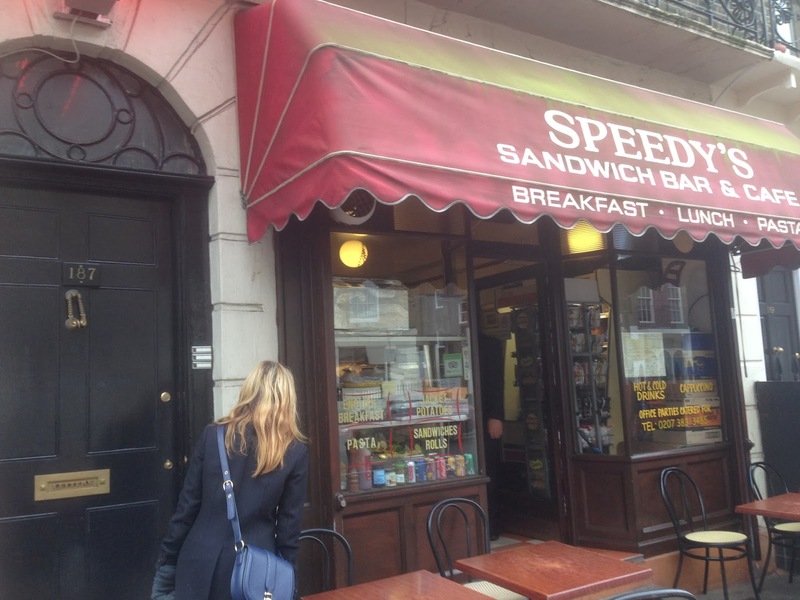 We found it just off the Euston Road, on North Gower Street. As we walked up to it, we noticed there was something near the door. 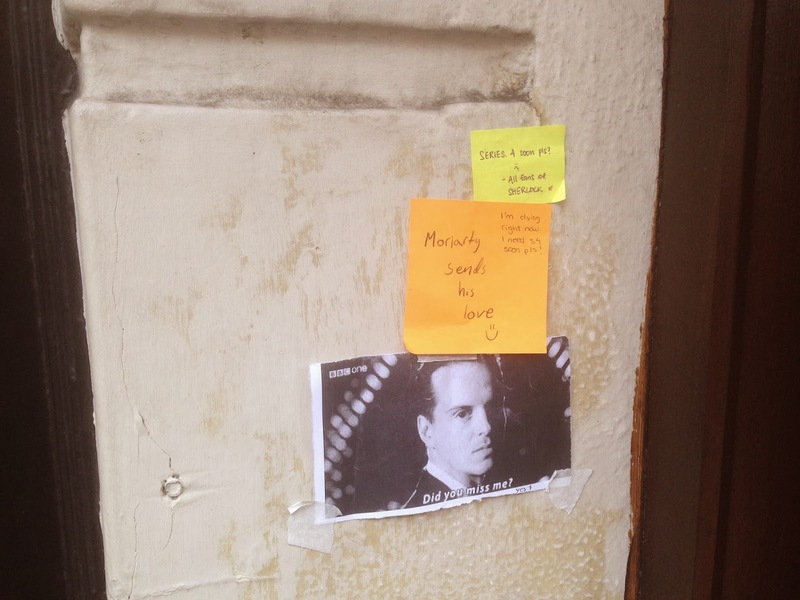 Ah yes, some uberfans before us have left messages to Sherlock, from Moriarty.